Reinforce Biblical values with this Thanksgiving banner! Make this easy and fun banner to decorate your home with God's word and fall leaves. It is recommended to print out this bannner on white card stock. 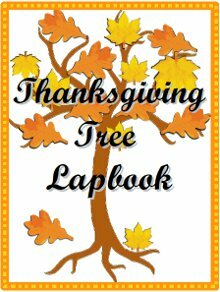 This Thanksgiving Banner would go beautifully with our Thanksgiving Tree Lapbook.